A new part work magazine series teaches cake and cupcake decoration for beginners. Free cake decorating tools are given away with each issue. De Agostini, the leading partwork publisher in the UK, are delighted to announce the successful launch of Cake Decorating magazine in Great Britain and Ireland. Cake Decorating is a weekly magazine packed full of step-by-step cake decorating projects that teach you how to create beautiful cakes at home. Alongside the clearly illustrated cake decorating projects and techniques, each issue comes with high quality cake decorating tools. With Issue 1 readers receive a free set of butterfly cutters, pink decorating glitter and a pretty gingham cupcake stand. The magazine was launched on the 14th of March 2012. Issue 1 and 2 will be on sale for 2 weeks to allow customers plenty of time to purchase a copy. From Issue 3 onwards the magazine will be published weekly. Many shops have already sold out of Issue 1 due to unprecedented demand, but De Agostini will be reprinting more copies and back issues can be ordered through the dedicated Cake Decorating website. Each issue of the magazine contains 24 pages of step-by-step cake decorating projects designed to teach readers everything they need to create stylish cakes, cupcakes, iced cookies and bakes at home. Designed as a complete cake decorating course, each magazine teaches new skills and techniques to help readers develop their confidence and expertise as they follow the step-by-step icing and decorating projects. 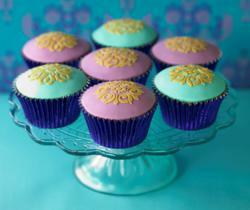 Baking and cake decorating are two of the most popular hobbies in the UK. Their success has been spurred on by the high profile of TV dessert chefs, and the popularity of cupcakes in the British and Irish markets at retail, on television and in publishing. Cake Decorating magazine aims to make this hobby extremely affordable by giving away free cake decorating tools with every issue. As in all new hobbies, these items can be very expensive to buy in shops or online, but by collecting Cake Decorating magazine readers receive a complete set of high quality cake decorating and sugarcraft tools absolutely free. The magazine is expected to appeal to British and Irish women 25 and up. Cake Decorating magazine is the only magazine devoted entirely to teaching cake decorating skills. The aim of the magazine is to help beginners learn new skills and techniques for decorating beautiful cakes and cupcakes. The magazine also includes professional cake decorating tips and techniques that will give readers the confidence to show off their wonderful creations. Each magazine covers a number of projects, including how to decorate cakes and cupcakes for birthdays, christenings, weddings and more, in a range of traditional and contemporary styles. Each issue will come with the free gifts that build into a complete collection of tools required to create beautifully decorated cakes at home. Future issues will contain cake decorating tools such as piping nozzles, piping bags and stencils for readers to use to improve their icing skills. The series will also feature a full set of alphabet embossers, star cutters, heart-shape cutters, texture embossers and traditional sugarcraft tools that help readers transform their cakes into beautiful baked creations that will impress their friends. Subscribers to the magazine will receive additional free gifts including a portable cake caddy, a full set of silicone bakeware and a biscuit and sugar craft gun.